Thank you for visiting my website. My name is Karen White and my company is K-Dub Designs which was established in 2009. 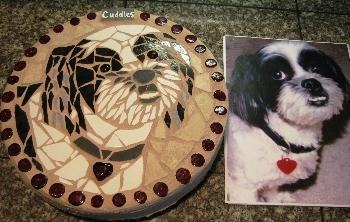 I design and create custom pet portrait mosaic stepping stones and pet memorials. Christmas orders drying in front of the artist's fireplace. "Dogs are not our whole life ... but they make our lives whole." 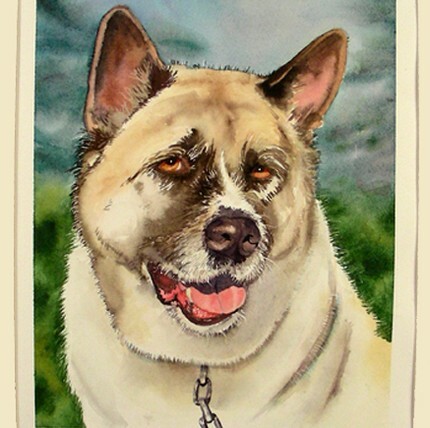 Roger Caras The pet portrait stones that I create are custom orders for people who love their pets whether it is a garden stone or memorial stone. A very special way to honor your best friend. When placing your order, you can choose to have just a portrait … or the whole body. 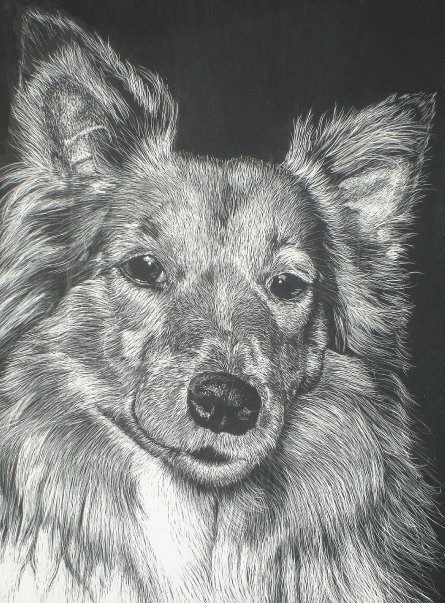 The price of a custom pet portrait stone is $80 plus $15 for shipping and handling — so $95.00 total. 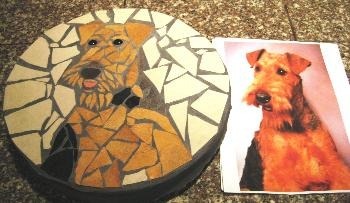 I do the mosaics myself – from start to finish, including grouting, sealing and shipping. Turnaround time is about 4 to 6 weeks right now. My mosaics are very time consuming to make and each order takes a week to make in between the processes of grouting, drying and sealing. I use mostly porcelain tile for my mosaics. The tiles I used are given to my by our local tile store … they are either left over from tiling jobs and/or sample boards. 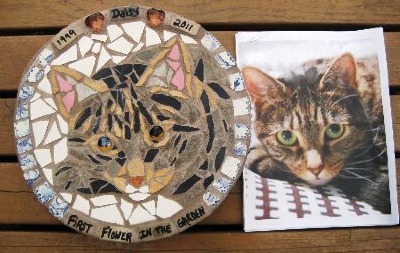 Rather than toss the tile into the dumpster, I recycle them into these unique creations.In addition to dogs, I can create mosaic stones for all pets, including cats, birds, horses, ginuea pigs, monkeys, etc. Samples are shown further down on this page.Each order is shipped individually due to the weight of each stone. The stones are made of solid concrete, 12 inches round, two inches thick and weigh approximately 20 to 21 pounds when completed. Each stone is sealed with a premium 20-year outdoor grout sealer and ready to be placed outdoors. Kormanstudio Custom Pet Sculptures and Urns was recently opened by artist Tony Korman. His past experiences with pet loss inspired him to use his talents to start sculpting one of a kind statues of pets past and present for others. 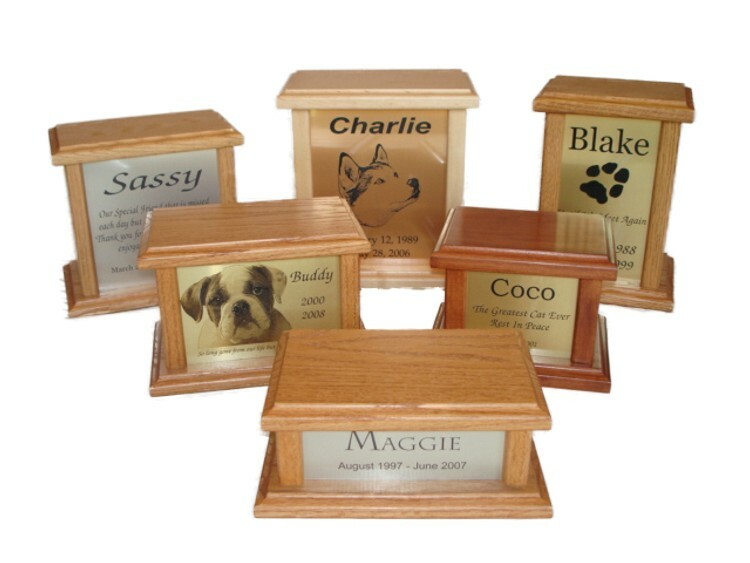 They are available in various sizes an come mounted on wooden bases or urn boxes. 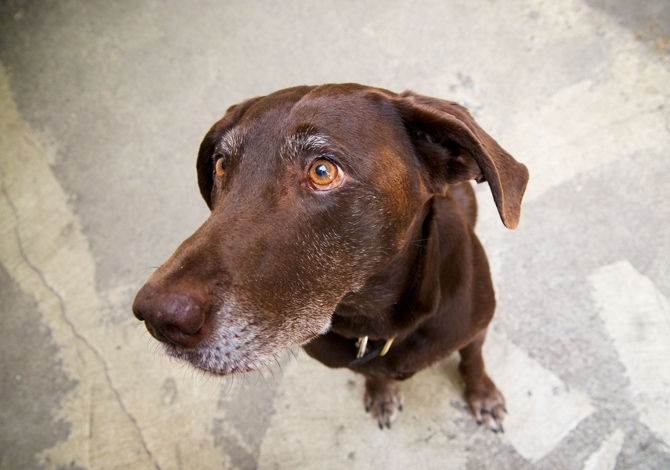 Pets give us so much affection and joy that it supersedes the pain of their death. 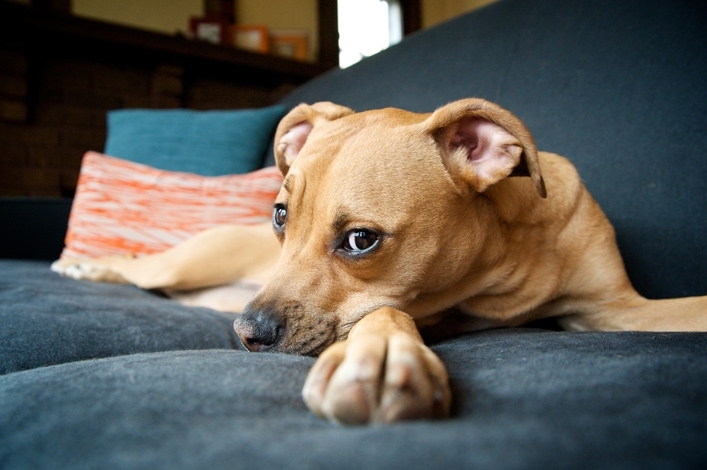 With the relatively short lifespan of pets as compared to their owners it is inevitable that if pets are wanted in our lives we are destined at some time or another to suffer losing them leaving an empty spot inside that they once filled. So why do people so willingly set themselves up for this unavoidable tragedy? “It’s easy, the positives outweigh the negatives,” Tony states. “Pets give us so much affection and joy that it supersedes the pain of their death. It is proven over and over by how we often deal with their loss…by getting another one. In some way we honor a pet after their loss by getting another showing how much their companionship and unconditional love is missed. Creating memories so strong and cherished that life is better with them in it than without,” says Tony. 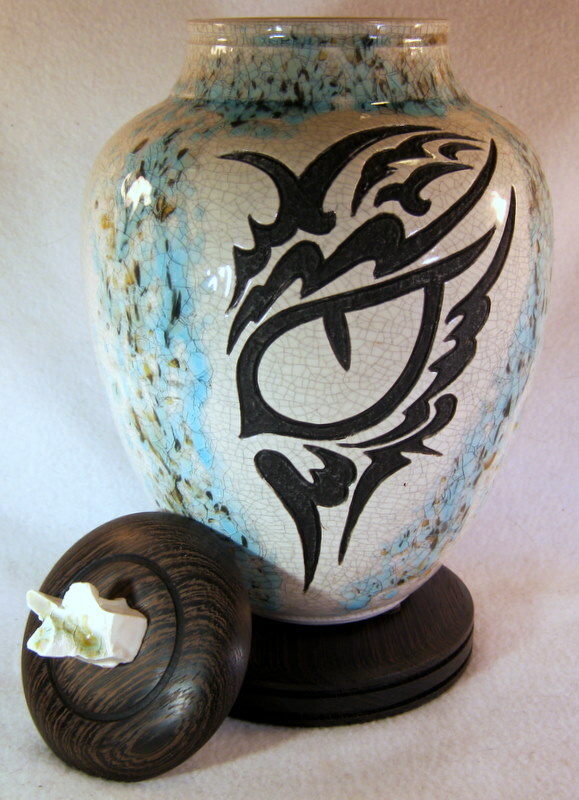 About Kormanstudio Custom Pet Sculptures and Urns. Founded by Tony Korman, Kormanstudio has created dozens of sculptures for his clients of pets both living and that have passed away. A lifelong artist and pet owner he believes that good communication and working together on a project is the key to its success. Customer service and the uniqueness of his work are the hallmarks of his studio. 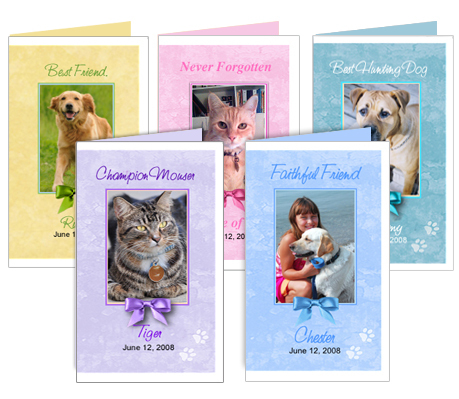 Downloadable pet memorial cards and funeral programs are available at the Creative Media Website’s All About Pet Memorials page. When the Artist’s 13 year-old cat passed away, she wanted to do something special “in memory” of her departed companion, something that would also help her cope with the flood of emotions that she was experiencing. Searching shop to shop she found nothing that was appropriate to aid in her personal expression of love and sorrow. There didn’t seem to be an affordable tribute designed specifically for animal friends. Other devoted pet lovers she spoke to felt the same void. 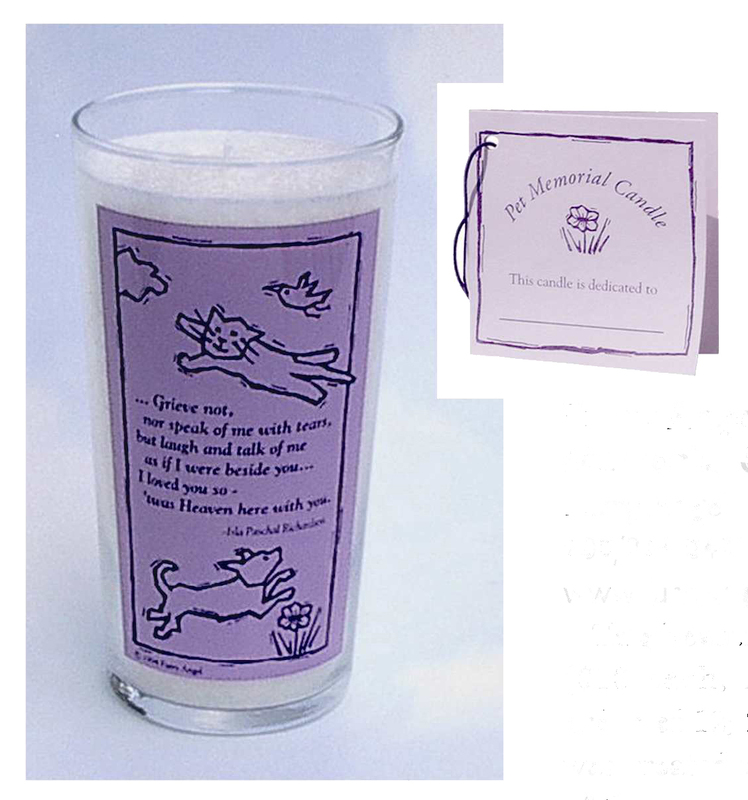 Out of her grief, this beautiful candle was created — a classic, wax-filled glass tumbler with a silk-screen design, depicting ethereal dogs and cats circling a wonderfully comforting poem. The Furry Angel Candle is 5″ high x 2 5/8″ in diameter and will burn for approximately 3 days. Included is a Gift Card containing a Special Blessing, thoughts for a Candle-lighting Ceremony, and a place to record the pet’s name. The Furry Angel Candle makes a thoughtful gift for anyone who has lost a treasured animal companion. 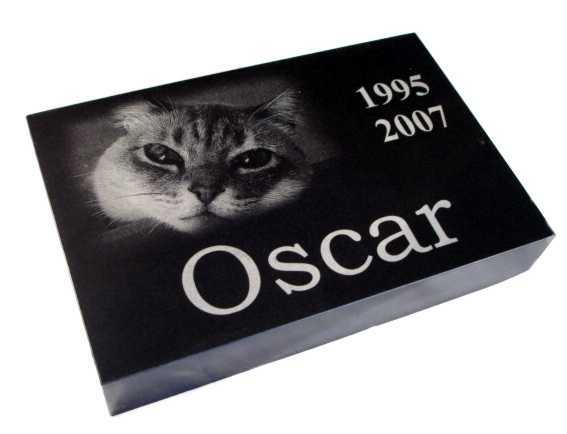 It can also be used to commemorate the anniversary of a pet’s passing. After the candle has burned, the silk-screened glass makes a lovely permanent flower vase. 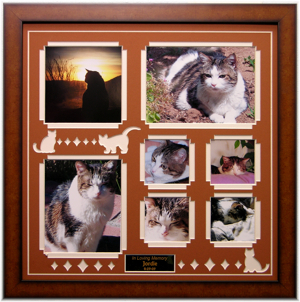 These beautiful custom made frames and mats are the perfect way to memorialize all of pets that we have loved and lost over the years, or simply a way to display and cherish the pets that we lovingly share our lives with today. 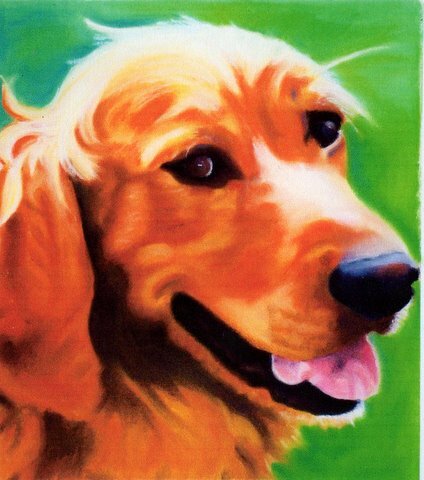 Choose a mat design that matches your furry friend in the mat color of your choice, select your frame, and then you decide what loving tribute to have engraved on their name plaque. 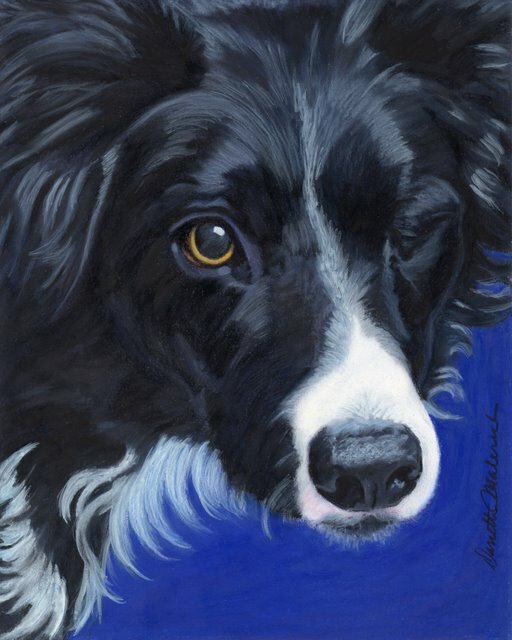 You can also create your own design by viewing the “Custom Options Page” and select the “Animal Art” for your loyal companion. Whether for friends past or present, this is a wonderful way to enjoy and honor them. 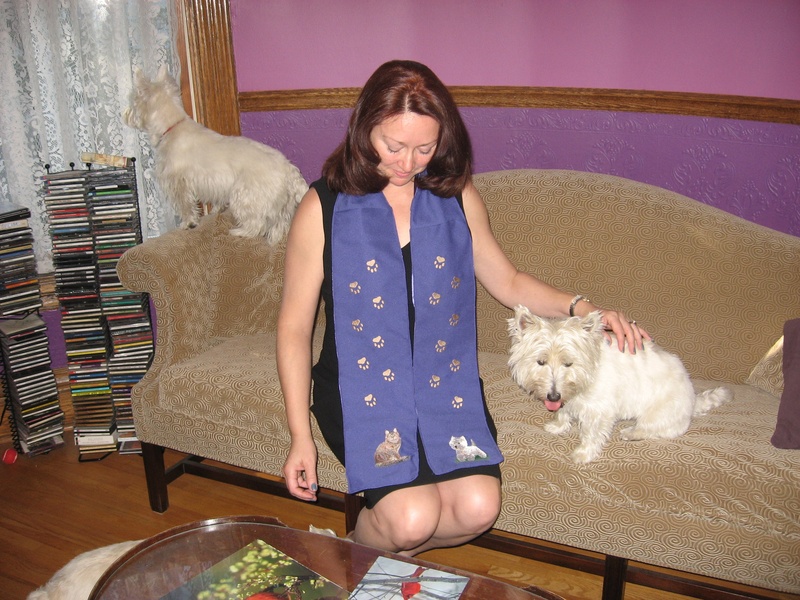 Divine Healing for Animals helps you to create a customized video to honor your pet’s life. You provide the photos and some words that described your beloved furry or feathered friend, and she turns it into a video complete with soundtrack of your choosing. To see an example, click here. 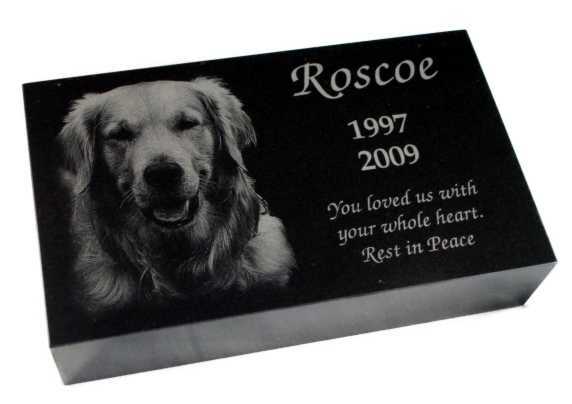 Remember your beloved animal friend with a handsome headstone, urn or other memorial marker engraved with any personalization you desire through Engraved Expressions. Trista Campbell is a phenomenal artist whose work captures the beautiful big cats of The Wildcat Sanctuary, a nonprofit rescue organization in Sandstone, Minnesota, that provides a safe haven for mistreated, abused and/or abandoned exotic and wild cats. 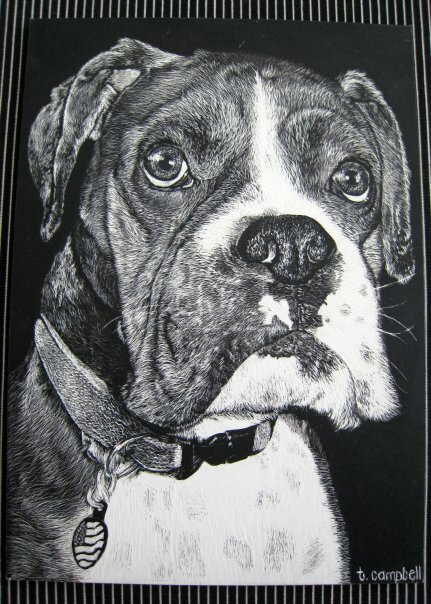 She has also begun creating pet portraits of stunning detail and character. I’ve seen these up close and personal. They take your breath away! 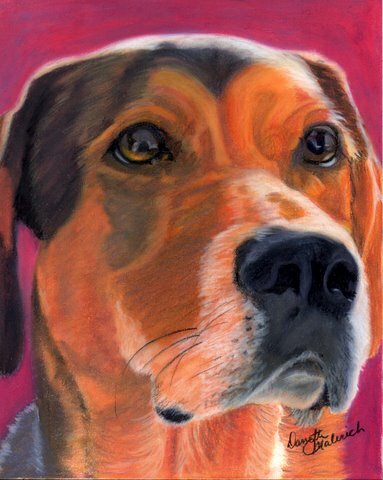 Contact her for a commissioned portrait at tcampbell@wildcatsanctuary.org. 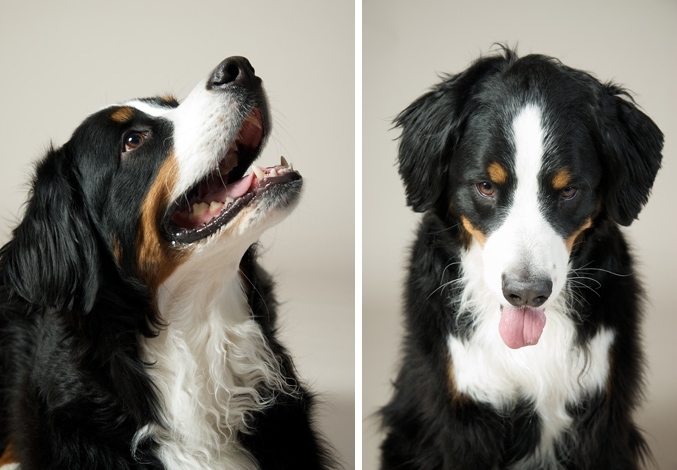 My fellow member of the Pet PAC, a Twin Cities group of pet-related business people, Sarah Beth’s remarkable photography has recently been featured in Minnesota Monthly magazine. She shared with me that she plans soon to start a special program that would allow people with aging or ailing pets to get “emergency” photographs of them, realizing how important those lasting images of our beloved companions can be. I had the good fortune of having a booth at the first annual Pet Project’s MN Pet Food Drive event next to these fine folks and their beautiful personalized products ranging from blankets to purses to playing cards to pillows—all with people’s own pets’ faces on them. 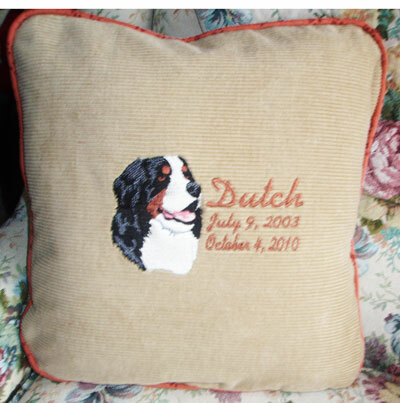 These are unique and splendid ways to commemorate a precious furry family member. Receive your personalized pet lovers’ gift! Cosmetic Bag with Pet Photo…and much more! Copyright 2009 Personalized Pooch. All Rights Reserved. with this cuddly alternative to an urn kept on a shelf. Candles have long symbolized the light of hope, love, healing and connection with our loved ones in Spirit. These candles were created to honor the souls of animals who have left the earth, and to comfort the hearts of all those who love and grieve them. The candle label reads: May the Spirit of my beloved animal be blessed with peace, grace and love for all time. Lighting candles can provide a focus of solace and comfort for us, to support our hearts’ vigil for the animals we love and have lost. Tall and elegant at 8 in. high by 3 3/16 in. in diameter, the candles are a substantial size that burn for 150 hours. They are made in the US with animal and earth friendly RSPO Certified Sustainable Palm Oil that burns cleanly. The candles are scent free so that those who are sensitive to oils or fragrance can enjoy their beauty without allergic reaction. A small card is included with each candle which reads: May the lighting of this candle lovingly connect you with the Spirit of your animal loved one, and may the grief in your heart be blessed with gentle healing. Commentary by me (Sid Korpi): I first saw Kat Corrigan’s work at an artists’ boutique sale, and I knew I had to include her on my site. 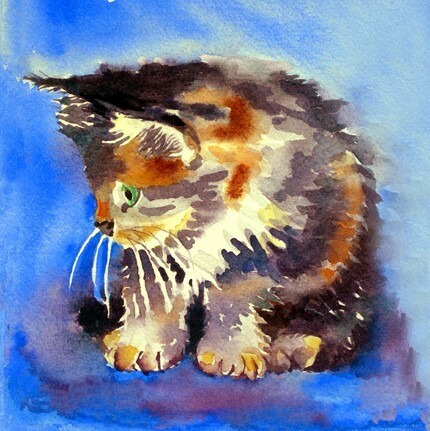 Her whimsical, expressionistic, often comic takes on the usual pet portrait captured my heart and imagination. 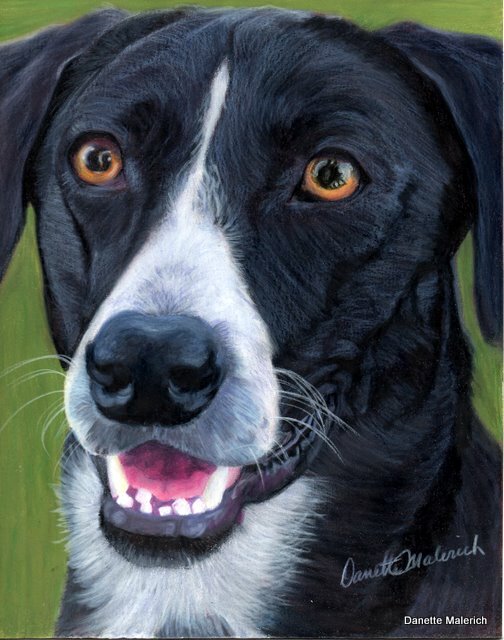 She transfers the pet’s true essence to her canvas while taking it beyond the bounds of photographic realism. 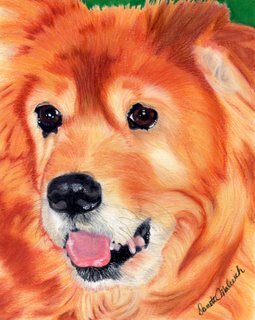 She offers reasonably priced commissions, even offering to come and take photos of your pet(s) herself from which to pattern the painting. 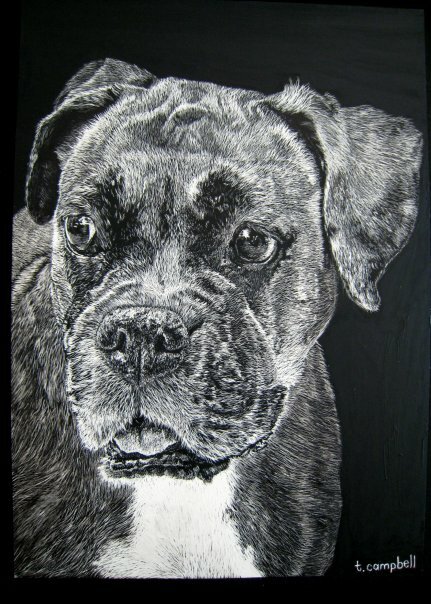 Commission a portrait of your beloved pet by contacting Kat Corrigan at katjojo@hotmail.com, 612-720-6675, or her website. “Maggie’s Light” candles are the perfect gift for any pet lover, for any occasion. Give as a gift to any pet lover engraved with a fun and inspirational pet quote. 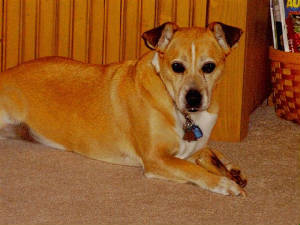 Or give a candle as a special memorial to honor a past pet engraved with the pet’s name. Each candle comes with your choice of collar color/style. 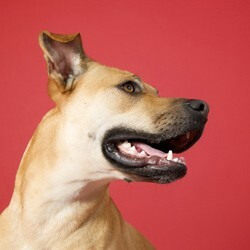 See Maggie’s Lite site for options. Candles are all hand poured with Eco-Soya, a natural, clean burning wax. Each candle has an approximate burn time of 30-60 hours. For complete usage and warnings, visit www.candles.org. Scents include: Unscented, Rolling in Grass, Daffodills, Saddle. You can order a Memorial Candle with a personalized tag with the pet’s name and dates. Just allow an extra week for delivery. Both organizations are no-kill animal organizations committed to finding homes for stray and abandoned pets. 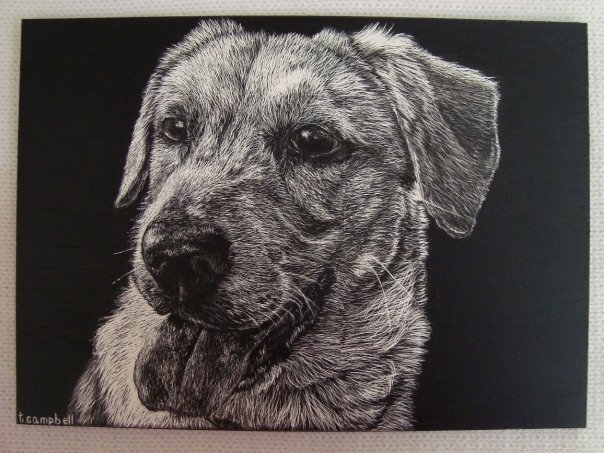 7.5″x9.5″ = $60.00, each additional face or pet $9.00. 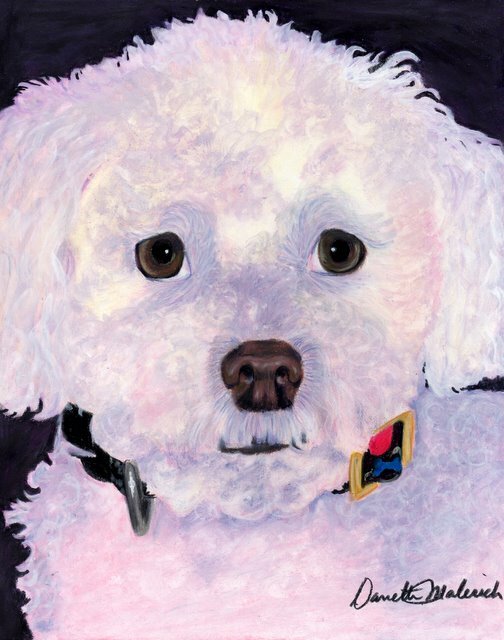 5″x7″ = $40.00, each additional face or pet $9.00. I use lots of bright, archival quality watercolor paint on 140 lb. Arches cold-press acid-free paper. I matte, sign, date each original and include an Artist Statement. 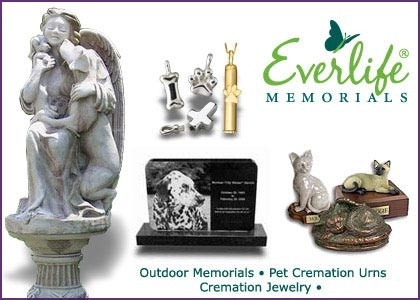 We hope you’ll take a look at our wonderful memorial products. We’ve been making our candle since 1994! If you get me the link and a description, along with a jpeg of your product, I’ll gladly add this to my Pet Memorial Products page on my blog. If you have a minute I would like to introduce you to a new pet memorial product. Please check out our website http://www.memories-in-crystal.com. 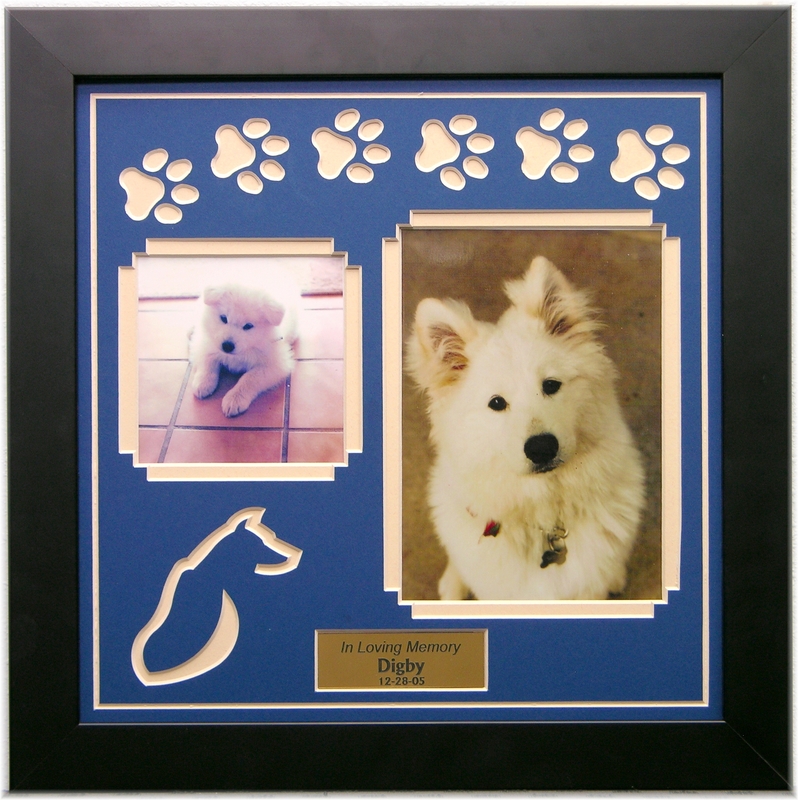 We transform a pet’s photo into a 3D image and laser engrave it into a crystal keepsake. Those are really lovely. 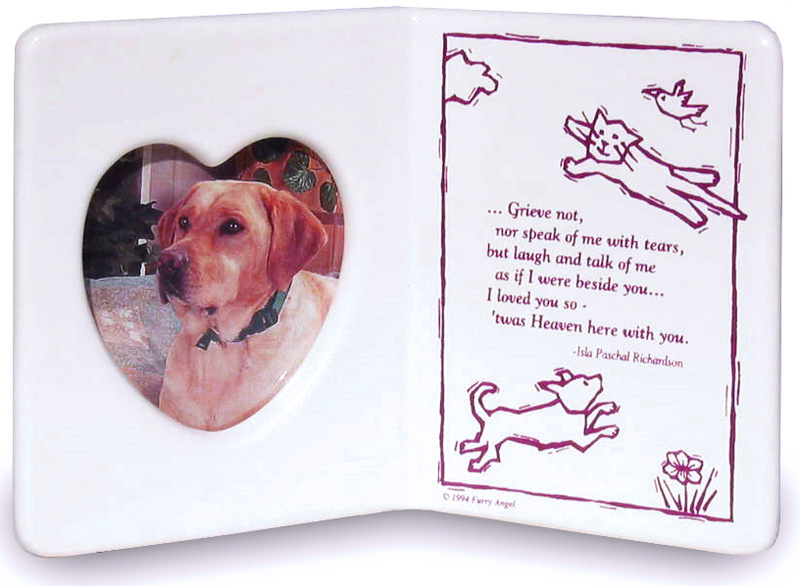 When I get a chance, I’ll add their link to my Pet Memorial Products page. Thanks for the heads up. These are all beautiful options. I wanted to make you aware of our line of hand-blown glass pet memorials – we have been making these on commission for family and friends since 1993 and are now bringing them to the public after we received such a great response. We take a small amount of cremains and mix them into molten glass to make sculptures and beautiful jewelry. Please have a look at our website (www.eternityglass.com) to see if our products would be a good fit for your readers. Best regards and congrats on a helpful and beautiful page. 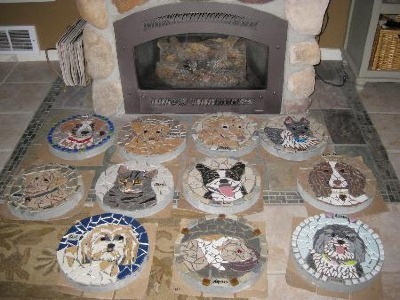 Can you please let me know who and how to contact someone about the mosaic stepping stone of a pet?